The water damage Altadena team at 911 Restoration Los Angeles provide assistance to homeowners with who have water damage situations. Once the water damage or mold removal Altadena technician completes the inspection, he determines the source of the leak and a repair plan is established. We work hard so you recognize that we are the crew to provide you and your family a Fresh start. Don’t hesitate to call the water damage Altadena technicians when you first discover a leak! 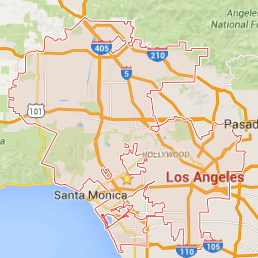 Call 911 Restoration of Los Angeles, today! Plumbing issues can cause noticeable hints but they can also have less obvious signs. For example, if a pipe burst in your kitchen or your washing machine malfunctions, you will know that it happened. However, if you see your paint or wallpaper peeling or see that your kitchen sink is leaking drips of water, take that as a sign of a potential problem. A slow drip may not seem like a big deal, but our mold removal Altadena techs have seen that over time the excess water in dark and unventilated areas will grow bacteria and fungus. Our mold removal Altadena specialists encourage customers to allow fresh air in, whether it is a fan or leaving windows open, it will prevent more mold spores from producing. Mold doesn’t just go away by itself and the longer the water leak sits, the more structural damage you will have. According to our mold removal Altadena specialists, once mold grows on drywall or in the wall cavity of your living room, a specialist will have to implement safety protocols to properly decontaminate and eradicate your home of any unwanted elements. The mold removal Altadena specialists use advanced technology and infrared cameras to detect hidden lingering harmful elements, so you can be confident that no job is done hastily. The Mold Removal Altadena Team is the Most Reliable! In addition to providing top of the line and long-term quality repairs, we pride ourselves on our customer service. We truly care about the wellbeing of each our customers and go the extra mile to ensure they have peace of mind. When you call the water damage and mold removal Altadena technicians and the mold removal Altadena specialists, you get a team of trained professionals that have solutions. We address each of our customer’s concerns and make sure they know they have a strong team supporting them. We even offer to handle filing your insurance claim for you and keep you apprised of all updates and information. As leaders in the industry, we know what questions to ask the insurance companies and what to present in order to obtain the most coverage out of your homeowner’s policy. If you find a water leak or sense a musty odor, do not worry! 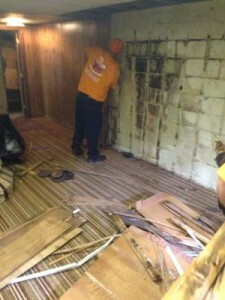 Call the water damage and mold removal Altadena specialists with 911 Restoration of Los Angeles for your Fresh Start!